When it comes to watching a film based on a novel, do you ever get the feeling that you wished it weren't so faithful to the book..or is it just me? The Hunger Games: Mockingjay- Part II concludes the story of Katniss Everdeen (Jennifer Lawrence) and her quest to take down the Capitol and President Snow (Donald Sutherland) after her beloved Peeta (Josh Hutcherson) was rescued from the Capitol and "hijacked" into thinking she is the enemy. This time, as she enters the Capitol, war begins to be unleashed. I'll start off with Jennifer Lawrence. While it took a while for her main co-stars Josh Hutcherson and Liam Hemsworth to grow into their roles, Lawrence was, and is, Katniss. She was kind of just going through the motions in Part I, but in Part II, she gets to really bring her A-game. Another thing I loved was how director Francis Lawrence brought the sense of danger that I felt when reading the book. I felt that anybody could go and anything could strike. It felt like I was in the battle zone. One of my favorite action sequences was the one where they are all in the sewers, fighting off the mutated fish monsters. I felt it was chilling before the monsters even showed up because of how they were all in the dark and we knew they were going to strike, but we didn't know when. My problems mainly stem from having read the book. Without spoiling anything, I'll say that I wasn't crazy about how in certain areas, it was faithful to the novel and out of all the novels in the trilogy, Mockingjay is my least favorite one. Because that one was split into two parts, some of the secondary characters in Part II lose their luster and they are quite underused. I actually would've preferred that Catching Fire was split into two movies. Partially because it's my favorite book in the trilogy. But also because if it had two parts, there would've been more buildup to the second part and this one felt like an extension of Part I, which was mostly just exposition. 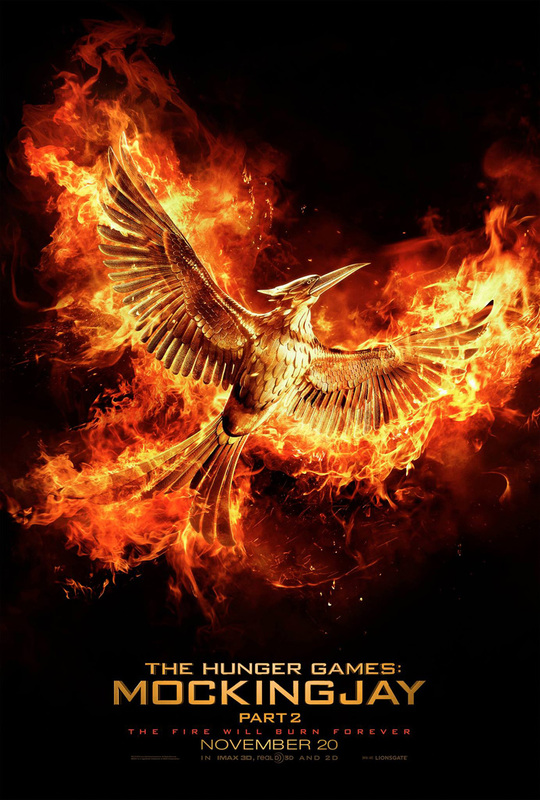 Overall, The Hunger Games: Mockingjay- Part II is a solid swan song for a saga that I've grown to love in recent years. While I've had some qualms with how my least favorite book was the one split into two parts, I still enjoyed this one. I would say that out of all the young adult films or franchises in recent memory, The Hunger Games is the best.